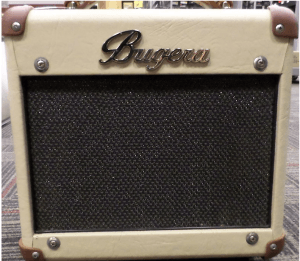 Bugera BC15 Review - The Perfect Practice Amp? Behringer has been really expanding their foothold in the compact tube amp segment of the market through their Bugera amps. With a great line of models, they have covered pretty much every single application you can think of. From practice amps to full-on stacks. Now, one of their smaller amps is really making a lot of ripples. 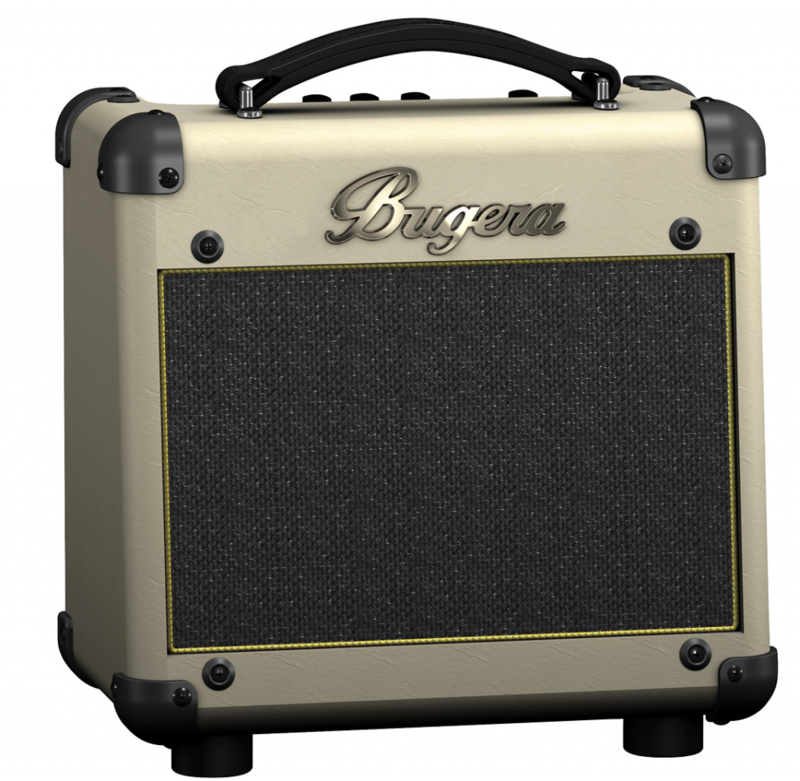 Bugera’s BC15 hybrid combo guitar amplifier is making serious waves. It packs a pretty decent performance and users all over the world love it. So, where’s the catch? One of the main things that really puts the BC15 in perspective is its price. It offers three times the power of Bugera’s popular V5, yet it is significantly cheaper. On top of that, both of these compact guitar amps are full tube designs. Let’s scratch the surface a bit deeper and see what is going on here with a 3 part review. Right from the get go, you will notice one thing. BC15 is one tiny, tiny amp. As a 1×8 it’s the type of thing you would pack with you when you go traveling. The design of the amplifier is obviously done in a retro style. The device’s beige exterior is only broken by nice, brown leathery corner guards and handle. Bugera BC15’s aesthetics are easy on the eyes, there’s no question about that. Once you crack the thing open, you will find a simple old school valve configuration. This one uses a 2-channel tube preamp found in a single 12AX7 preamp stage. The 12ax7 tube is one that we’ve seen used in a lot these guitar amplifiers, and we’re very pleased with the balanced sound this preamp tube produces. After the tube preamp, Bugera normally uses the EL84 tube for the power. However, on this model, they bring in some solid-state electronics to handle the amplification, making this a true hybrid model while still preserving the classic guitar sound. Being a small tube combo, you will see a decent 15 Watt guitar speaker in the front, which has a pretty good color. If we were to grade everything on how vintage it was, the speaker would be a pure 10/10. In terms of build quality, this is a tight little amp. There’s no sloppy craftsmanship to be seen and everything fits together nicely with lot’s of high-quality components. Let’s be real here for a moment, Bugera’s user reputation isn’t the cleanest one when it comes to the quality of their amplifiers. In recent years, they have worked the bugs out, and there is nothing that indicates trouble on this model. The rugged construction helps ensure a long life. Controls are pretty simple. You have your gain knob, a two-band EQ (treble and bass), and a master volume knob which is your dedicated master level control. On top of that, you have a mid-shift button for creative sound shaping of the middle tones. There isn’t a distortion channel, but there is a little gain button that you click to turn the gain up into distortion, you waltz right into crunchy rock tones. The CD input is a handy feature for adding a mp3 player or other line in to use as a backing track. I also enjoy these inputs since you can use the amplifier to play your favorite music while you puts around the apartment doing chores. The only real downside to this particular model is the lack of line out. You are limited to this one little speaker. As good as it is, it would be amazing to hook this puppy up to a quad 12-inch setup and give it a run for its money. Unfortunately, just like there is no reverb, Bugera took that away from us as well. From a purely functional point of view, they have limited the use of this amplifier to one’s bedroom. If you step up to the Bugera V22 you can get that line out. The powerful headphone output is a must on a practice amplifier like this one and your roommates will appreciate it. While I do have a grudge against Bugera for the reasons mentioned above, this thing sounds like a million bucks. Its clean channel is pure, crisp and simply impressive. With single coils, you can dial in a very nice sharp tone, while humbuckers fatten the whole thing up quite nicely. Is it vintage? Kinda, but you have to be reasonable with your expectations. Push that gain button and you enter the world of organic overdrive. 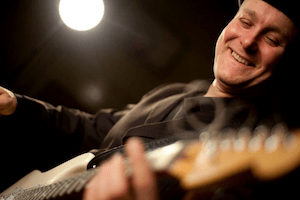 With low gain, you will get that bluesy tone that defines vintage valve tone. Crank the gain all the way to the max, and that overdrive turns into a wholesome fuzz. The wide-range gain control makes this guitar amplifier perfect for anyone. So, Bugera V5 or Bugera BC15? These two guitar combo amps are more or less in the same category, although the latter is more entry-level and lacks the EL84 tubes. If you value an output port, like I do, and you would like to have your tubes with a side of healthy reverb, then upgrading to the V22 is the way to go. On the other hand, if all you need is a good sounding practice tube unit, BC15 is a versatile guitar amplifier will do more than great. I really like this tube amp. That is something that needed to be said. It’s compact, affordable and packs a lot of great tube tone for the money. However, Bugera’s decision to exclude a simple output is something I personally can’t get over. I can live without a built-in reverb, but when you limit such a great little guitar amplifier by not allowing us to hook it up to some serious boxes is just ridiculous. With that said, it is still a great amp that will meet the needs of many users and is great for small gigs. It’s sure to be at the top of your wish list.